Amazon is selling the Wemo smart light switch for $28 and plug for $19. Setting up a smart, connected home adds convenience and control, but buying all-new lights and appliances can be a drain on your plans. That's where smart switches and plugs come in, letting you connect your old appliances without spending hundreds of dollars. 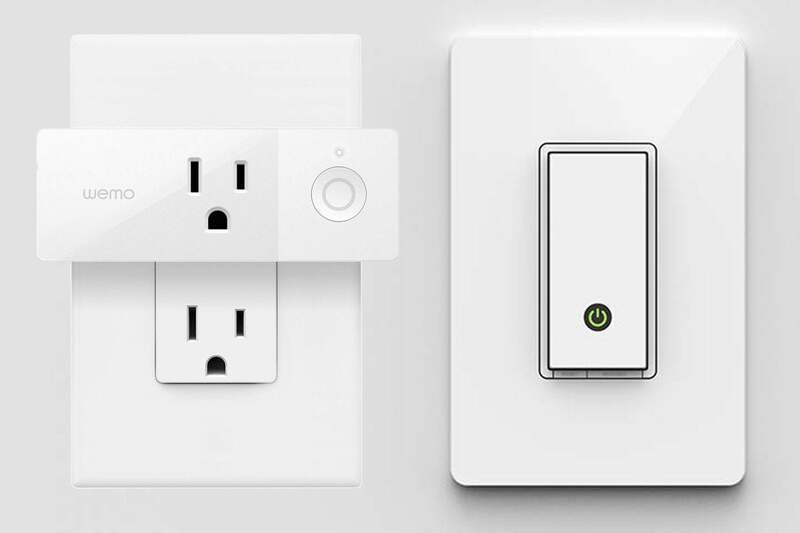 And today you can get started for less than $50: Amazon is selling the Wemo light switch for $28Remove non-product link, down from a list price of $50, and the Wemo Mini Smart Plug for $18.70Remove non-product link, down from a list price of $35. Both are the lowest prices we've ever seen for these devices. The Wi-Fi enabled smart switch allows you to control your lights from anywhere using a mobile app. It's also compatible with Alexa and the Google Assistant so you can add voice control. Once connected to Wi-Fi, you'll be able to use this switch to set schedules and times and randomize on-and-off when you're away to keep potential break-ins away. It's also compatible with Nest and IFTTT, so this switch integrates easily with a larger smart home system. The Wi-Fi enabled Wemo mini smart plug brings compact smarts to your outlets. Also compatible with other home systems, this mini plug allows you to set schedules, turn off and on, and more from anywhere, or connect to a smart assistant to control with your voice. Its slim design also allows you to plug it in in a single outlet while leaving other sockets open for stacking or other devices. We gave the Wemo smart plug 4 stars out of 5 for its compact design, broad compatibility, and easy-to-use button format. And while we haven't tested this particular model of Wemo smart switch, we liked its dimmer switch and Amazon customers have given it a rating of 3.8 stars out of 5 across more than 11,100 reviews.